This is the first in a series of blogs that I am writing on the core values that shape the teaching, research, and service activities of the College of Social Sciences and Public Policy (COSSPP). The first core college value that I want to discuss is Diversity, a term that oftentimes is interpreted and pursued quite narrowly. As detailed in this blog, within COSSPP we are pursuing Diversity in more than just people, although that matters immensely. Before I describe our approach to Diversity, it is worth noting a few key attributes of our great college. COSSPP is the third largest college at Florida State University, with just shy of 5,000 undergraduate majors and graduates. 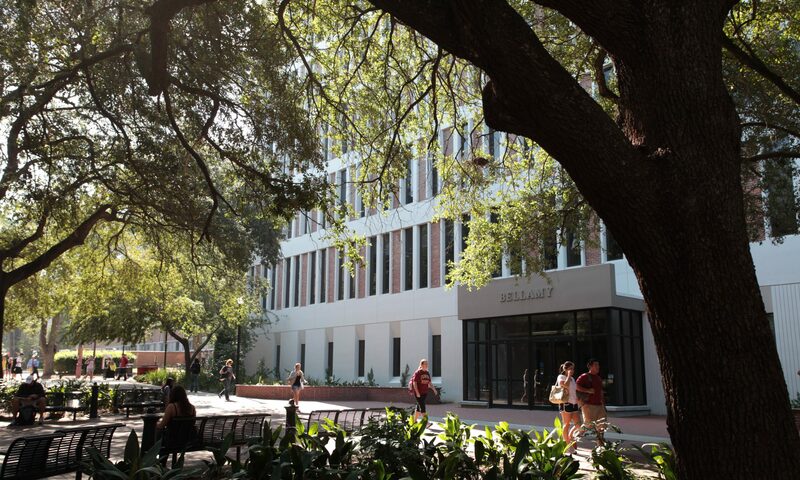 In a typical year the programs within the College of Social Sciences and Public Policy are responsible for approximately 16% of all degrees granted by FSU; that’s right, one in every six degrees that FSU awards each year are generated by our college! In addition to being one of the biggest colleges on campus, COSSPP is one of the most diverse in terms of its gender, race, and ethnic make-up. COSSPP outpaces other colleges in the percentage of its students that are from traditionally underrepresented groups, including, women, African-Americans, Hispanics, and multi-racial students. This diversification is happening in all of our programs, even those that have traditionally enrolled fewer women and students of color, such as Economics and Political Science. On the gender front, last year COSSPP had more female graduate students than male graduate students for the first time in the college’s over forty-year history. Beyond being a large college and one of the most diverse, COSSPP is also the place where teaching and research on many of society’s most pressing issues can be found. Coursework on public health policy, homeland security, racial/ethnic disparity, personal finance, successful longevity, environmental challenges, gender inequity, and regulatory reform can be found throughout the college’s curriculum. These courses are taught by faculty with years of training and deep expertise, which allows them to educate students on topics that can sometimes be difficult or uncomfortable to engage in a classroom setting. When all of these facts are taken together, COSSPP is what I like to term “Society Writ Small”; our demographic and intellectual diversity reflect the world around us. In this great college you will find students, staff, and faculty from all walks of life and with the range of worldviews to be found in society. As I meet with donors and friends of the college I describe COSSPP as a place where some of the most conservative faculty and students and some of the most liberal faculty and students are to be found in our hallways. This diversity of worldview is reflected in our student groups and student leaders, as COSSPP students are active in and oftentimes the leaders of a range of political groups including the College Libertarians, College Republicans, College Democrats, and College Progressives. This brings me around to describing the two major thrusts of what I consider the college’s commitment to Diversity – People and Ideas. A college with a diverse population that holds a shared worldview is a failure. Similarly, a college with a diversity of ideas, but little demographic diversity is also a failure. Society is complex, messy, and contested; a lack of diversity of people or ideas will leave our students unprepared for the real world. On one extremely important level, Diversity is about bringing greater numbers of students and faculty of color into our classrooms and programs, something we are actively pursuing. With the support of the central administration, the last four years have seen the hire of seven new African-American faculty as well as several other hires of faculty of color. The college has also seen the appointment of outstanding females in the roles of Associate Dean for Faculty Development and Community Engagement, Assistant Dean for Development, and Assistant Dean for Academic Affairs. The college is purposely and aggressively looking for ways to ensure that our faculty and students are drawn and reflect the communities that we work in. Diversity of people is at the forefront of the college’s faculty and student recruitment efforts. Too often, though, Diversity is viewed solely through the lens of the demographic attributes of a population. Diversity is and must also be about welcoming and celebrating the marketplace of ideas that shape Florida, the United States and the World. Universities are sometimes described as “liberal bastions” where students are not exposed to the range of ideas to be found in society; I have heard just this idea from some alumni. Having come to know this place very well in my 18 years on the faculty, I know this simplistic assertion to be false. I take pride in the diversity of ideas and worldviews found in COSSPP’s faculty, students, and curricula. The college celebrates and promotes a marketplace of ideas, and this will remain a core value in COSSPP. This value is reflected in our increasingly multi-disciplinary curricula, the mix of outside speakers we bring to campus, and the support of student groups from across the spectrum of worldviews. The College of Social Science and Public Policy is committed to embracing, recognizing, and celebrating Diversity. This core value is a thread woven throughout the college, and under my term as Dean I will continue to assert that COSSPP is truly Society Writ Small. Dr. Tim Chapin is Dean in the College of Social Sciences and Public Policy and a professor of Urban and Regional Planning at Florida State University. The feature picture is from Tech Crunch. Welcome to the blog for the College of Social Sciences and Public Policy at Florida State University. Follow us to stay up to date with the research our students and faculty are doing.